I’m an anomaly among Winnipeggers – I love winter. And now that it’s started snowing (regardless how superficially) my little icy heart has started jumping for joy! Every year around this time I begin giddily preparing for the cold months ahead. First, I do a major clean sweep – my allergies don’t like hibernating with dust bunnies. Second, my urge to knit is reinvigorated and I continue working on the scarf I started two years ago. And third, I make soup, pot upon pot of warm, hearty soup. This soup recipe is the first of the season, and one of the first times I’ve made a pureed soup (only because I previously lacked a blender). 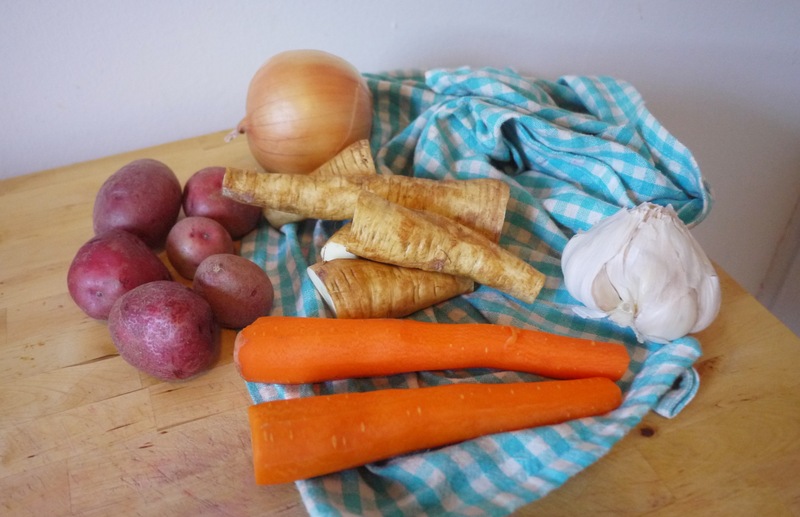 I’ve never really known what to do with parsnips, other than mash them and soup them, so I decided on the latter. I got the recipe from here and I was surprised how simple and delicious it was. I decided to add a little ginger to make things interesting and I garnished it with pumpkin seeds and hot sauce – that combo with clear you up and warm you up at the same time! Melt the butter in a large heavy pot over medium heat then pour in the olive oil. Add the chopped parsnips, potatoes, carrots, onions, garlic, basil, and bay leaf. Cook for 10 minutes, stirring occasionally. Stir in the vegetable broth. Bring to a boil, cover, and simmer over medium-low heat for 20 minutes, or until vegetables are tender. Discard bay leaf. 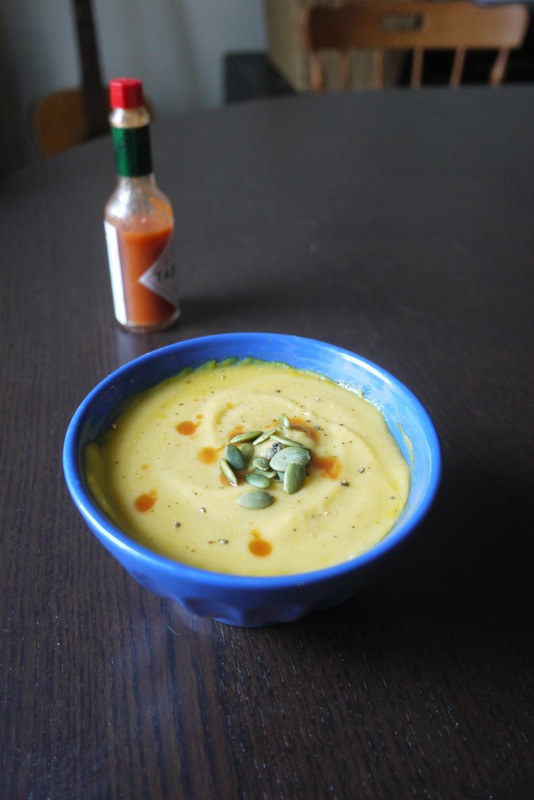 Remove from heat and use an immersion blender to blend the soup until creamy. If you don’t have an immersion blender, you can use a blender and blend until smooth. If you do use a standard blender, this should be done in several batches. Make sure to leave space in the blender and crack the top opening, to allow some steam to escape as you blend. Return soup to pot and add heavy cream or milk; stir to combine. Add salt and pepper to taste. Serve warm. It was so tasty and the left over lettuce wraps have been my go to meal for the last week!